​About 8,300 Saudi post-secondary students living in Canada were left shocked and scrambling earlier this month when Saudi Arabia abruptly ordered them to withdraw from their studies and leave the country by Aug. 31. Here, one of those students shares his story of how the diplomatic feud is devastating his dreams after years of hard work. ​About 8,300 Saudi post-secondary students living in Canada were left shocked and scrambling earlier this month when Saudi Arabia abruptly ordered them to withdraw from their studies and leave the country by Aug. 31. 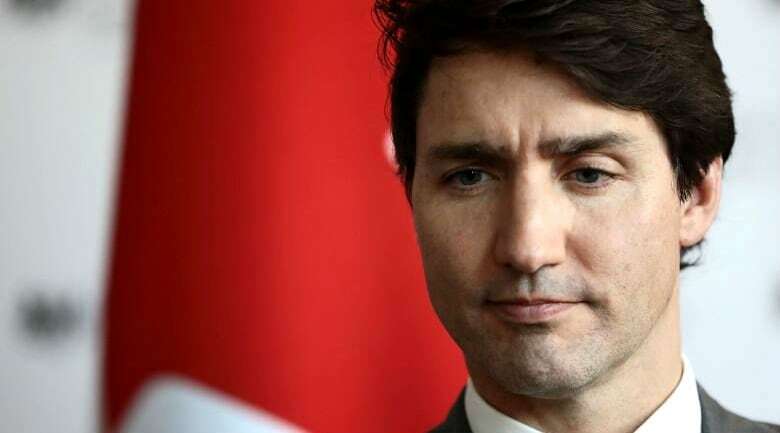 The move was prompted by a foreign policy feud between Riyadh and Ottawa that started when the Saudi government took offence at a Canadian government tweet. Here, one of those students shares his story of how the diplomatic feud is devastating his dreams after years of hard work. CBC News has agreed to keep his identity confidential because he fears repercussions from his home country. When living a peaceful life, minding our own business and working hard to achieve our personal life goals, we sometimes face shocking news that disturb our peace. Being laid off from a new and promising job, losing a loved one or some other unexpected tragedy. The Kubler-Ross model, by Swiss-American psychiatrist Elisabeth Kubler-Ross, states that there are five stages of grief when dealing with shocking and life-changing events: denial, anger, bargaining, depression and acceptance. I left Saudi Arabia nearly a decade ago to do my graduate studies in Canada. I was sponsored by the generous Saudi government. Why Canada, you may ask? Because it is one of the most welcoming and freedom-supporting countries, with huge diversity. Every ethnicity and religion, living in peace, minding their own business and contributing to society. This is the role model of countries; this is Canada. On Aug. 5, 2018, I was working on the final touches of my doctoral thesis, getting ready to send it to my thesis supervisor in preparation for the final PhD defence. This is the result of the hard work I've been doing in the past five years! No, this is actually what my life has been leading toward since I started elementary in a public school in Riyadh. I had published several articles about my research, met many professionals and created many connections. I was ready to finish it all! On that day at around 4:20 p.m. MT, I received a Twitter screenshot from one of my colleagues. The Saudi government had recalled their ambassador to Canada, and gave the Canadian ambassador in Riyadh 24 hours to leave the country. I was shocked! The two nations have had very good relations for decades! What is going on? We realized a few moments later that the reason was a tweet from the Canadian authorities "demanding" the Saudi government release human rights activists imprisoned in Saudi Arabia. I thought, OK, that's none of my business. Diplomatic conflicts happen all the time, and it will be resolved in a few days. A couple of hours later, many of my friends were sending me another Twitter screenshot from the Saudi Arabian Cultural Bureau (SACB) in Canada, which is assigned by the embassy to advise and track students. 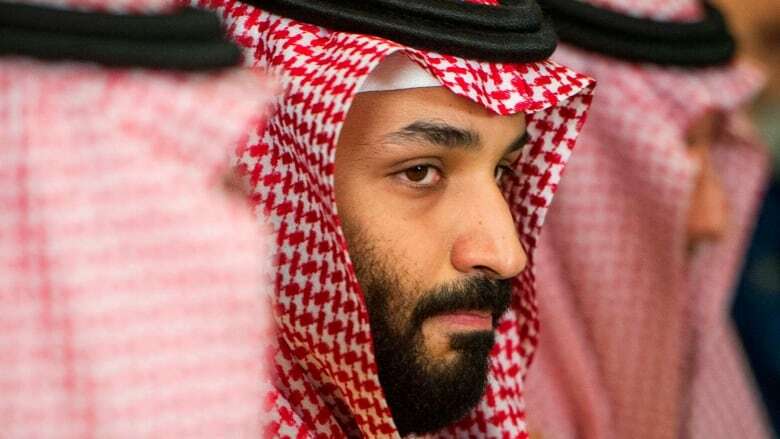 It stated: "To all students and trainees, sponsored and non-sponsored, in reference to the royal decree, all students are required to end all ties in Canada and return to the Kingdom within one month." I've lived in Canada for years, there's no way I can end all my ties in one month. This includes selling furniture of a four-bedroom house, finding someone to take over my lease, selling my car, giving notice to my child's school, giving notice to my two part-time jobs, bank accounts, investments, etc. What? I've lived in Canada for years, there's no way I can end all my ties in one month. This includes selling furniture of a four-bedroom house, finding someone to take over my lease, selling my car, giving notice to my child's school, giving notice to my two part-time jobs, bank accounts, investments, etc. This was too much to be done in one month. Plus, I'm almost done with my PhD, there's no way I'm leaving my hard work and starting all over somewhere else. So I thought: meh, no one will notice if I stay. Anyway, it's just a tweet, it's probably for PR. On Aug. 6, things started to get serious. We received a detailed email from SACB stating that they were "making arrangements with other Saudi cultural offices around the world to make a seamless transition" of all students inside Canada to another country, and that "these are the phone numbers and emails you can reach us on should you have any questions." What? So we are now some cargo that needs to be shipped internationally? I called my friends. Everyone was panicking and starting to make phone calls and arrangements to prepare for the move. News exploded. Suddenly, everyone was talking about Saudi Arabia and what Saudi Arabia was doing to its own students. These are 15,000 individuals who have lives across the country! Undergrads, grads, physicians, families — all are ordered to leave everything behind. Because of what? A tweet that hurt the ego of the 32-year-old crown prince? These are 15,000 individuals who have lives across the country! Undergrads, grads, physicians, families — all are ordered to leave everything behind. Because of what? A tweet that hurt the ego of the 32-year-old crown prince? How is our eviction of any benefit to this political situation? This can't be right! I'm not a slave! They don't own me? What does this even have to do with politics? How is Canada being punished by this? We, the Saudis living here, are the ones punished! What about the hospital patients? Pulling out approximately 1,000 Saudi residents from hospitals is not only devastating for them, it will mess up scheduled surgeries and patient care, and Canadian doctors will have to take over many patients and work overtime. I'm not going anywhere; I'll figure something out! All right. It's day three. Let's think about this. This is a kingdom. This was a royal decree. If I object or ignore, I will probably be escorted by police officers out of the plane when I land in Saudi Arabia and jailed right away. And that's not an option. Time to make plans. I call my other PhD student friends: "Let's meet, we need to talk." We go to a local restaurant to get some lunch, we exchange ideas. We could try and talk to SACB, maybe they can just "ignore us," but that won't work because they have a list of names of people who requested tickets to go back, and they will probably send a report of who did and who didn't. Can we just get the ticket from them and simply stay? Maybe miss the flight? They will still know. (For the non-Saudi reader: All government entities in Saudi Arabia have full access to all your personal data, i.e., SACB can simply contact customs and ask whether a person is inside or outside the country.) That won't work. Can we start a petition? Nope, it could be considered a protest, and protests are strictly illegal in Saudi Arabia and will lead to imprisonment. Can we start a petition? Nope, it could be considered a protest, and protests are strictly illegal in Saudi Arabia and will lead to imprisonment. During the day, numerous rumours go in every direction. Some compared our situation to what happened in Qatar back in 2017. Back then, everyone — not only students — was ordered to leave Qatar, and all Qataris to leave Saudi soil. This Saudi "initiative" was backed by neighbouring countries United Arab Emirates and Bahrain in addition to Egypt. This was more extreme since there were many married couples with one partner from one of these countries. It tore families apart. Some rumours said they ignored the decree, and nothing happened (except for local/unofficial harassment). Other rumours said that, since these orders were only from Saudi Arabia, affected Saudi spouses left Qatar and returned through a neutral country. Either way, it was a very sad situation that's still ongoing at the time of this story. Back to our story. I go to get a haircut the next day, which always cheers me up. Everyone in the barbershop was talking about how cruel this decree is to the Saudi families living in Canada. I keep quiet, trying to smile at people when their eyes meet mine. My barber knows I'm Saudi, but he kept quiet knowing I may not want to talk about it with strangers. I get my haircut, talk about it for a minute with him, and go home. How did we suddenly transition from being the luckiest international students in Canada, with the highest financial and advisory support from a foreign government, into a pity case? The same day, I go into my favourite Second Cup to get some coffee, since I hadn't had much sleep thinking about this, and try to finalize a paper I'm working on to submit to a scientific journal as part of my PhD research. A couple of ladies in the table next to me are discussing the news, in Arabic. I get distracted and leave. How did we suddenly transition from being the luckiest international students in Canada, with the highest financial and advisory support from a foreign government, into a pity case where everyone sympathizes with us for lacking freedom of choice in our own lives? This is simply injustice. I have three options: I can listen to "my king's" orders and go home. This means losing my PhD, or at least complicating the process by negotiating an online defence with a PhD committee and the university. The second option is to go, spend a couple of weeks, call it a vacation, and return on a non-direct flight hoping no one from the Saudi government will notice. But nothing is guaranteed when political conflicts grow out of proportion. Just think of the Japanese-Canadians interned in this country during World War Two. But hey, that was about 80 years ago, right? It's a whole new generation today, a whole new government, and we're not in war! But this whole situation started from a tweet. Why do I have to choose between two devastating choices? Why did it have to come to this? The third option is to simply stay in Canada on my current study permit, apply for a three-year work permit when I'm done, and hope for the best. Otherwise, there's permanent residency or political asylum. Saudis are starting to share details on cargo companies, flights, when they're leaving, where they're going. It's a sad situation. Everyone's moving somewhere, and this month is probably the last month I will be able to hang with the community we formed throughout the years. I still have many Canadian friends who are very supportive. But why do I have to choose between two devastating choices? Why did it have to come to this? All because of a tweet, and the ego of a 32-year-old man.